Aquaman is coming to theaters everywhere on December 21st, but you may get the chance to watch the movie earlier. Nerd Reactor is giving one lucky winner and their guest the chance to attend the Aquaman movie premiere at the TCL Chinese Theatre in Hollywood on Wednesday, December 12th. To enter, simply follow the directions below. Remember, these are just for the tickets, so you must provide your own travel. The winner will be announced on Friday. 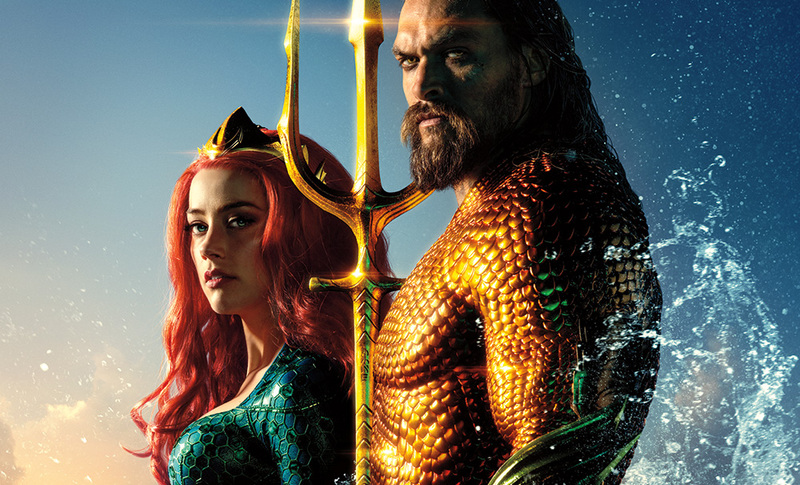 Aquaman Synopsis: From Warner Bros. Pictures and director James Wan comes an action-packed adventure that spans the vast, visually breathtaking underwater world of the seven seas, “Aquaman,” starring Jason Momoa in the title role. The film reveals the origin story of half-human, half-Atlantean Arthur Curry and takes him on the journey of his lifetime—one that will not only force him to face who he really is, but to discover if he is worthy of who he was born to be… a king. Early reactions to the film have been positive, which you can read about it here. Stay tuned for our review!